When will be Britain's Ancient Capital: Secrets of Orkney next episode air date? Is Britain's Ancient Capital: Secrets of Orkney renewed or cancelled? Where to countdown Britain's Ancient Capital: Secrets of Orkney air dates? Is Britain's Ancient Capital: Secrets of Orkney worth watching? 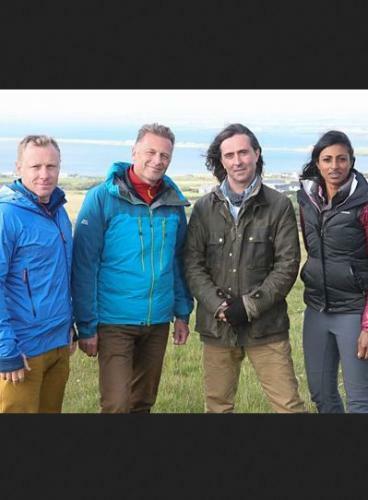 Neil Oliver, Chris Packham, Andy Torbet and Dr Shini Somara join hundreds of archaeologists from around the world who have gathered in Orkney to investigate at one of Europe's biggest digs. Chris Packham uncovers the secrets revealed by the DNA of Orkney's unique vole, Neil Oliver explores Orkney's tombs and monuments, Dr Shini Somara experiments to discover how the Orcadians could have moved giant blocks of stone over rough ground, and archaeological adventurer Andy Torbet climbs Orkney's most challenging sea-stack to unlock the story of Orkney's unusual geology. In the second part of this three-part series, Neil Oliver, Chris Packham, Andy Torbet and Dr Shini Somara join hundreds of archaeologists from around the world who have gathered there to investigate at one of Europe's biggest digs. This week Andy Torbet and some local seafaring volunteers build a boat made of just willow and cow hide, and set out to cross the dangerous Pentland Firth as the ancient Orcadians would have done. Neil Oliver investigates the extraordinary discovery of some human bones, Chris Packham goes in search of whales and Shini Somara uncovers the powers of the tides. In the third of this new three-part series Neil Oliver, Chris Packham, Andy Torbet and Dr Shini Somara join hundreds of archaeologists from around the world who have gathered there to investigate at one of Europe's biggest digs. Andy Torbet dives below the waves in search of the inspiration for the first stone circle, Chris Packham and Neil Oliver spend the night on an abandoned island as they hunt for clues as to why cultures change, Shini Somara tests the technology behind a bronze age sauna and the archaeologists uncover a remarkable find. Britain's Ancient Capital: Secrets of Orkney next episode air date provides TVMaze for you. EpisoDate.com is your TV show guide to Countdown Britain's Ancient Capital: Secrets of Orkney Episode Air Dates and to stay in touch with Britain's Ancient Capital: Secrets of Orkney next episode Air Date and your others favorite TV Shows. Add the shows you like to a "Watchlist" and let the site take it from there.